Merrill Lynch agrees with us: the Greek debt crisis is over. And that probably means it is time to buy Greek bank stocks. Sure they face serious earnings troubles due to the austerity plans. 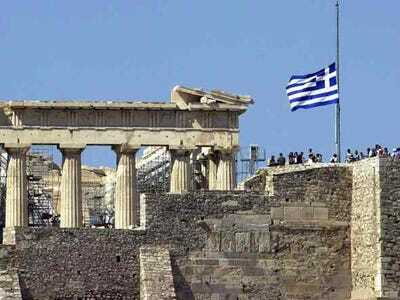 The party in Greece is over. But Merrill thinks that at current levels Greek banks offer attractive values. Market Watch reports on the investor note Merrill released this morning. The investment bank said it is keeping its overweight position in Greece, with buy ratings on Alpha Bank, Eurobank and National Bank of Greece. BofA said Greece is on the right track in terms of fiscal consolidation, but said it also expects near-term earnings for those banks will be hurt by austerity measures, with cuts to 2011-12 estimates in the mid to high single digits and mainly reflect lower expected volume growth in 2010. The investment bank doesn’t expect cash dividends for 2009.